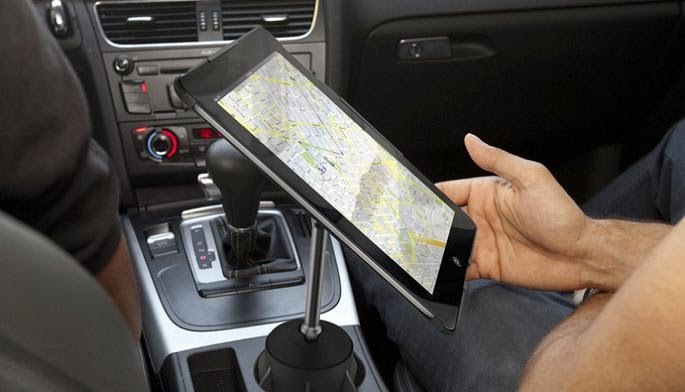 Collection of 'Coolest iPad Stands and Holders' for your iPads from all over the world. Adjustable iPad Stand: Use your iPad while you recline in your favorite chair, or even lie down in your bed. It telescopes from 30" to 53" high, twists, and rotates 360 degrees. 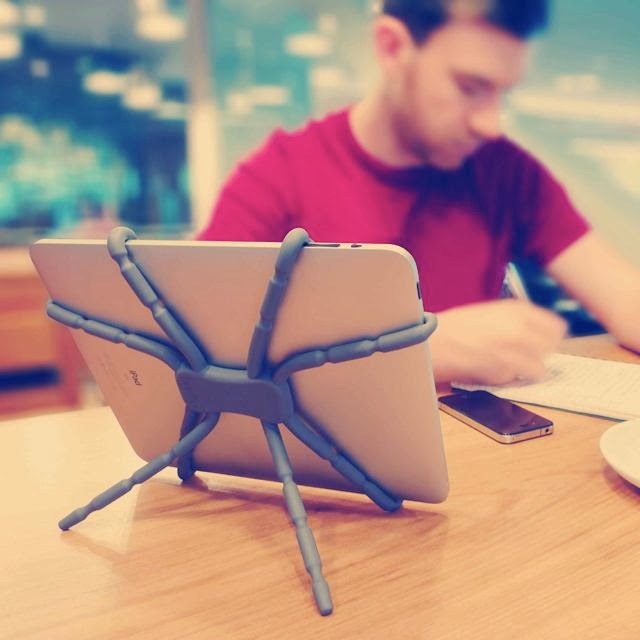 Whale Kit: Its a compact, portable and lightweight iPad stand; has aluminum fins and the tail adjusts to a variety of typing and viewing angles. 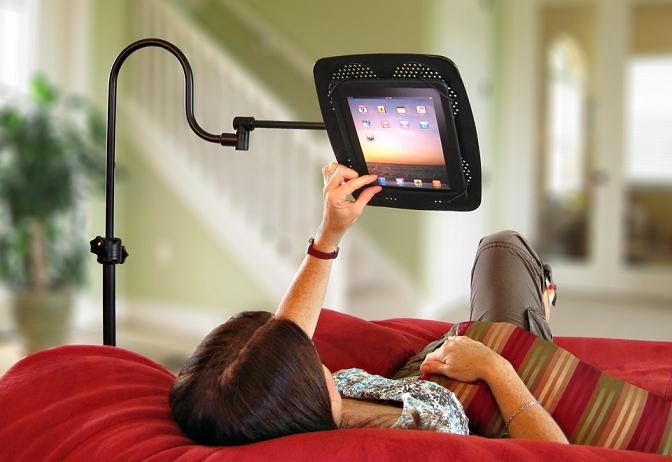 Spiderpodium Flexible iPad Stand: Spiderpodium is flexible, lightweight, and packs flat for easy storage and portability. Mika: This quintessential stand is compatible with devices ranging from the Nexus 7 to the iPad and even the MacBook Air or MacBook Pro. 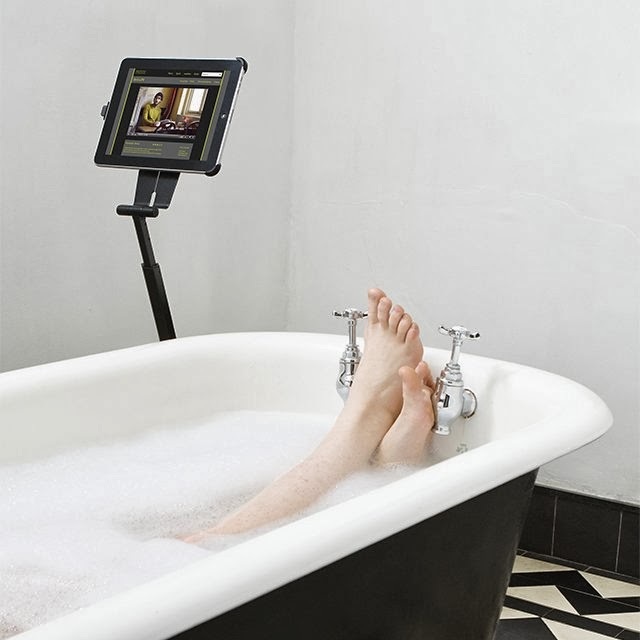 Z3 iPad Stand: The Z3 iPad Stand can be rotated 360-degrees, this allows you to place your iPad in portrait or landscape mode. It telescopes from 16" to 54" and folds flat in three moves for storage and portability. 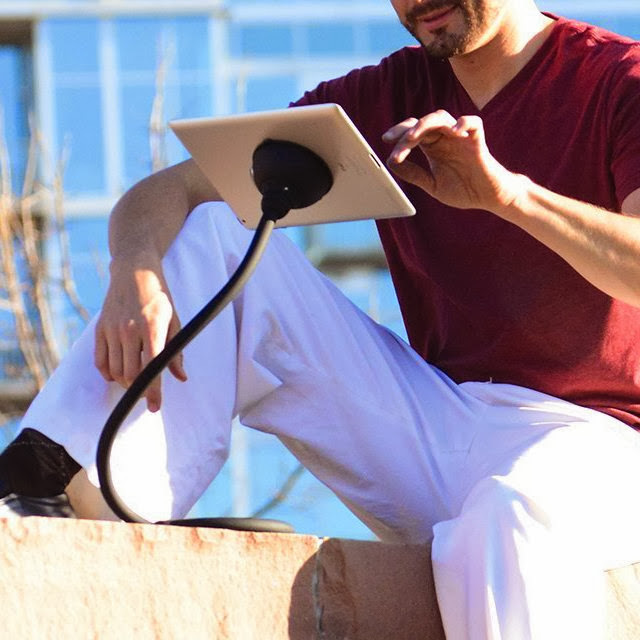 Octa Monkey Tail Flexible iPad Stand: Octa Monkey Kit's flexible "tail" makes it convenient to use in bed, in the kitchen, in the office, on the beach, or in the classroom. 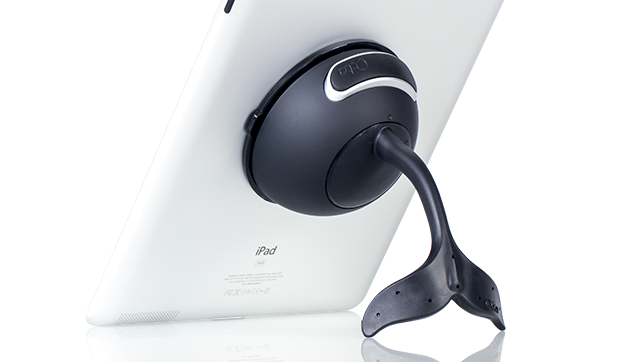 It can be placed between surfaces, such as car seats and couch cushions, or it can be wrapped around exercise equipment. 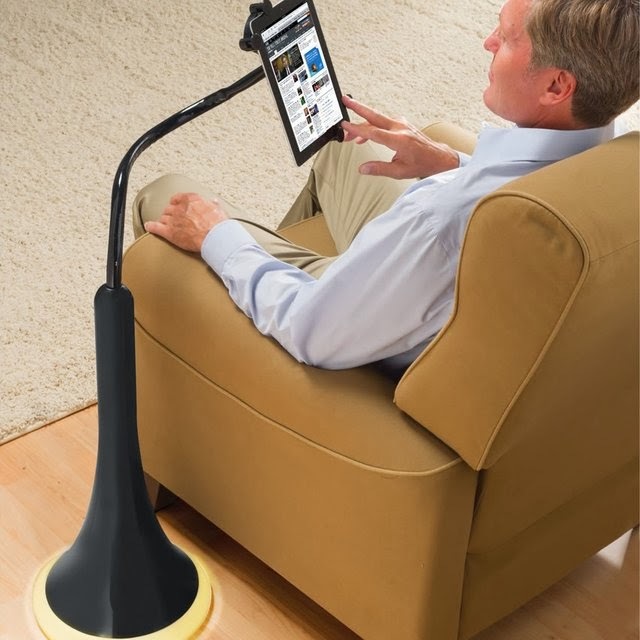 iPad Recharging Floor Stand: It recharges your iPad while holding it in a comfortable and functional angle. 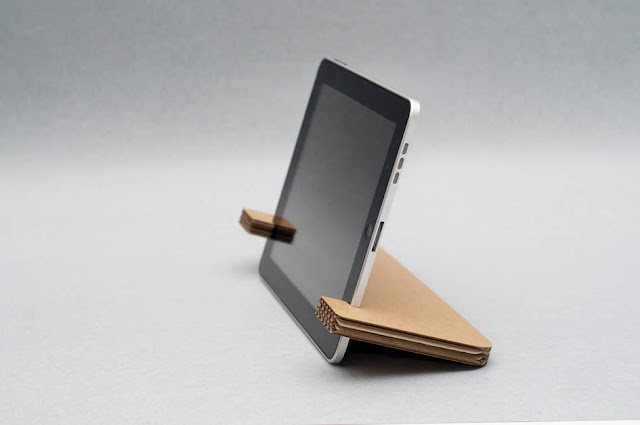 Papercrafts iPad Stand by Weltunit: Its made of reused cardboard. 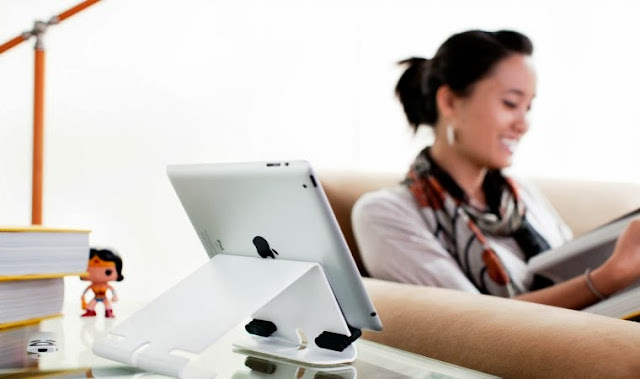 Padpillow: Padpillow stand is designed to makes you and your iPad comfortable. The pillow consists of two triangular sections connected with a hinge. 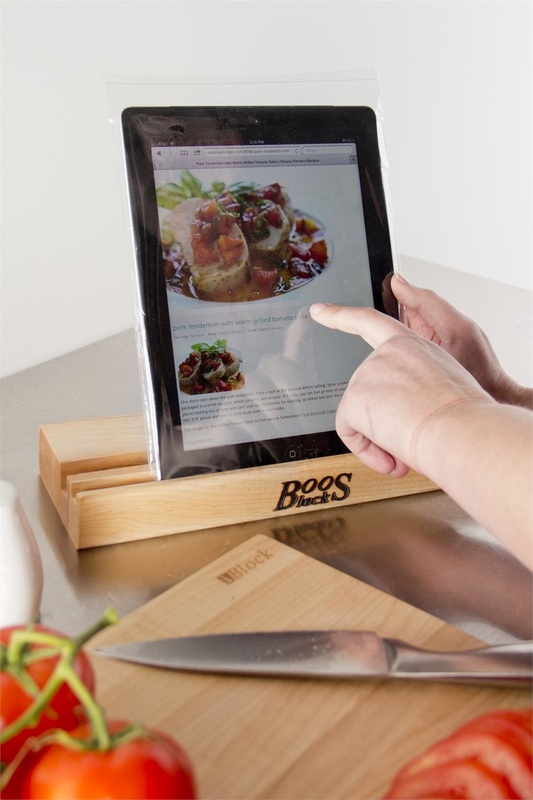 Swivel Block: The cool Swivel Block is a wooden knife block that swivels around to display an iPad stand on the back. Stance - iPad Cupholder Stand: This cool Stance stand keeps your iPad 2 accessible with 360 degrees of viewability. 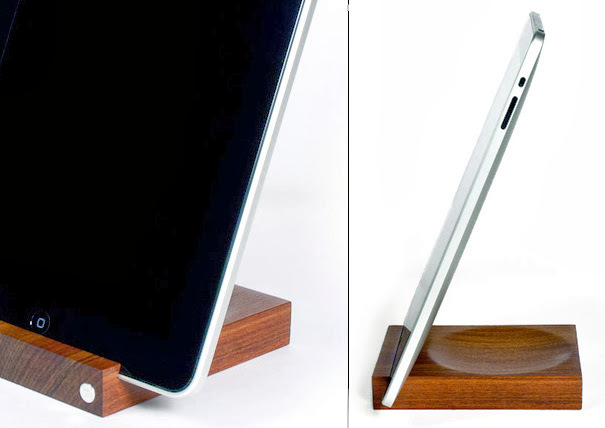 Facet Pyramid iPad Stand: It's a multi-angle magnetic stand for the iPad. Each side of the pyramid is at a different angle: 35°, 55°, and 75°. Its 3 angles and a magnetic base support your iPad on a desk, couch, or bed. 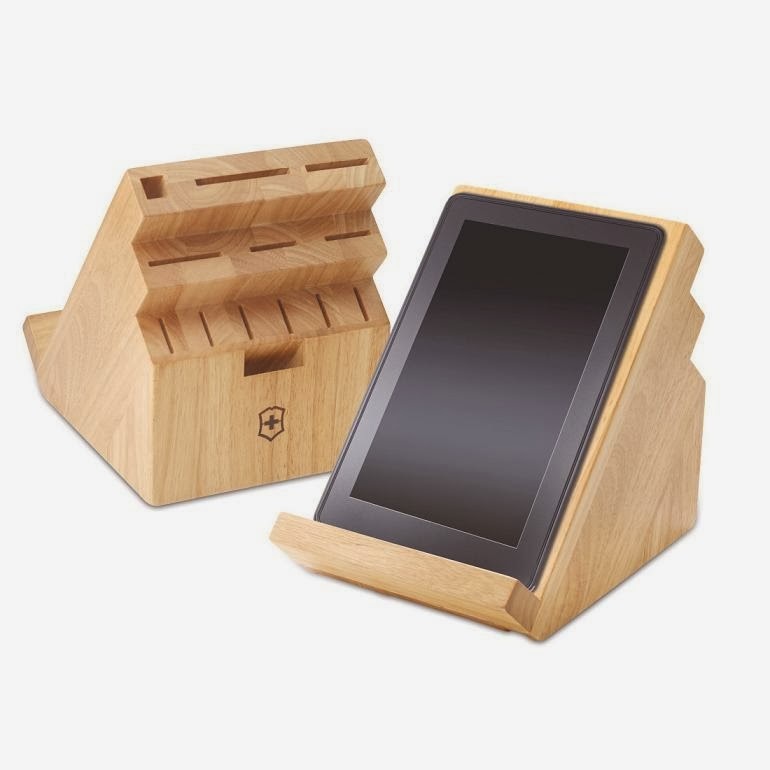 Block22 iPad Stand: Each stand is carved from a solid block of Ipe wood. Don't miss to check out "Coolest iPad Stands and Holders - Part: 1| 2."